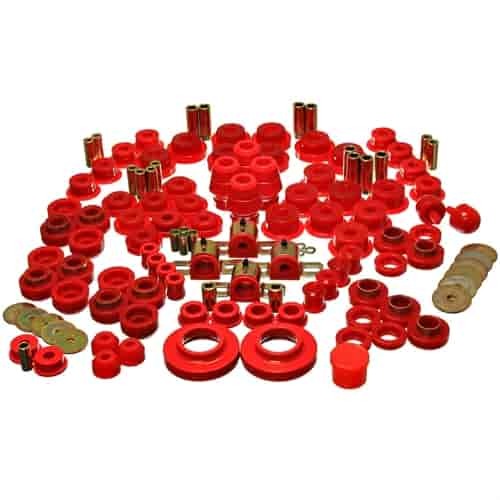 Hyper-Flex Master Bushing Sets are created to give you a complete performance bushing kit in one easy to order package for your truck or SUV. Energy Suspension's patented Hyper-Flex material provides a polyurethane formula that bridges the gap between soft factory rubber bushings and solid race bushings. Polyurethane bushings provide stiffer and longer lasting performance over rubber bushings, and a smoother and more comfortable ride than solid race bushings. Does Energy Suspension 2-18107R fit your vehicle?